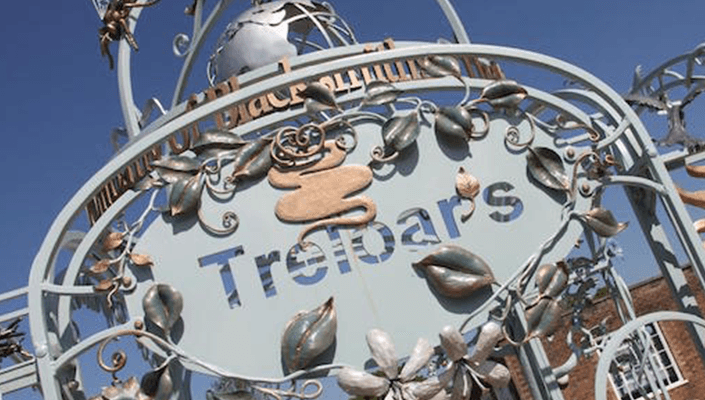 Helen has been at Treloar’s for 21 years. 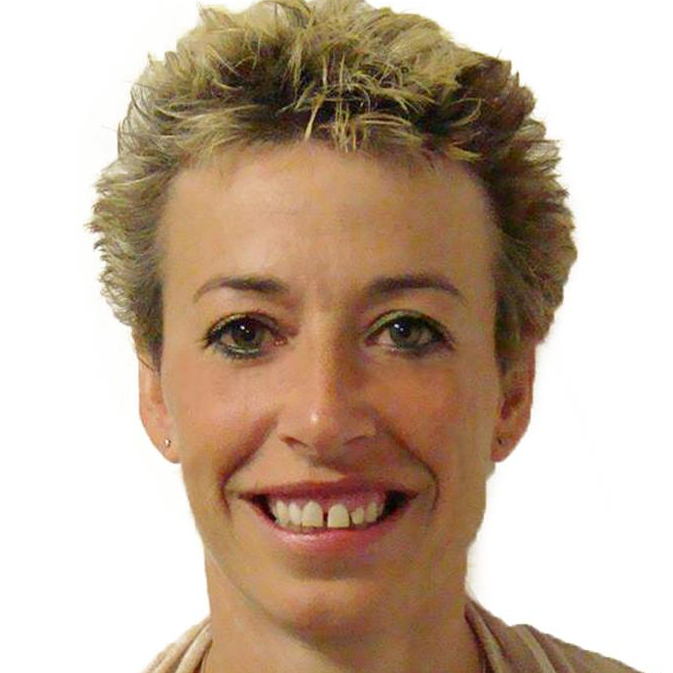 As Head of Learning Technology, she helps tutors create engaging, interactive lessons using different technologies, and ensures students can access their education through technology and helping them to use technology for their independence and leisure. Richard is a Year 3 teacher and Head of Humanities at Mere Green Primary School, an Apple Teacher, and a Parliament Teacher Ambassador. 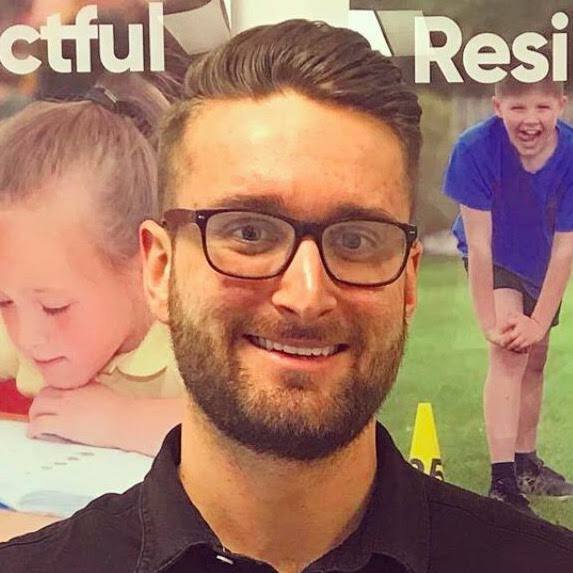 He’s passionate about embedding technology into the classroom and seeing how it can support those children who struggle with various aspects of learning. 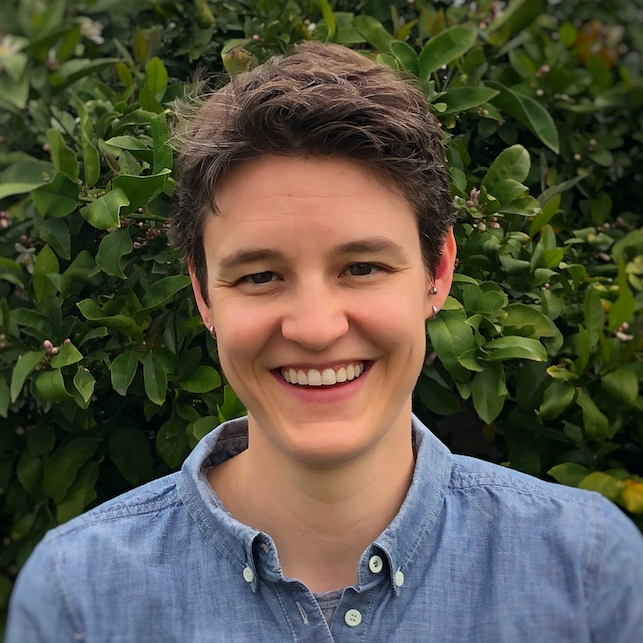 An English teacher at heart, Erika loves discovering ways in which technology can help students create, explore, and analyze the world around them. Follow her on Twitter at @erikalewisedu. Assistive technology (AT) is any device or service that helps compensate for an individual’s learning deficits and increases their level of functioning. While it doesn’t eliminate learning difficulties, it helps students reach their potential by focusing on their strengths. For example, a student who struggles with written communication but responds well to verbal can benefit from audio instructions. Students with learning disabilities often struggle in school and become heavily dependent on teachers and parents to help with assignments. But AT can help students complete work independently and accurately, allowing them to experience a sense of accomplishment. There are many different types of AT tools available, from low-tech pencil grips to high-tech speech recognition programs. In order for AT to be effective, it needs to be properly implemented (including training for staff), well matched to the learning disability, and coupled with quality instruction. Apps like Showbie, which allow teachers to personalize learning based on individual students’ strengths, can be useful components of an AT strategy, and many schools (like the ones profiled below) are discovering that Showbie is a great way to help students with disabilities become more confident, independent, and engaged in the classroom. Giving students with disabilities access to mainstream devices, like an iPad, can be a game changer in the classroom, and Helen Cronshaw, Head of Learning Technology at Treloar’s Disabled School and College in the UK, knows this firsthand. 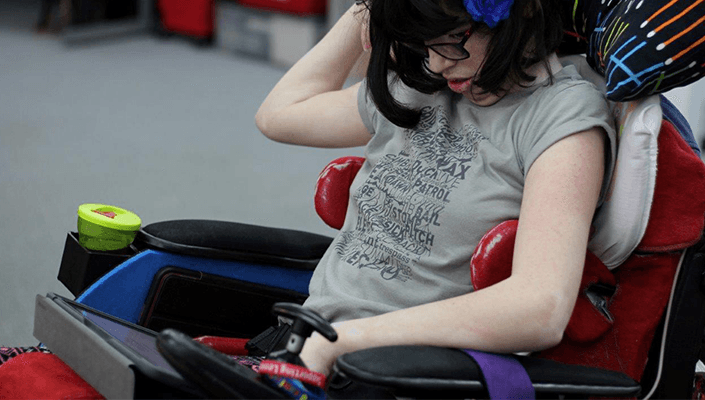 Treloar’s students have a wide range of physical disabilities, most commonly cerebral palsy and muscular dystrophy, which means they are heavily dependent on personal assistants to complete a task or assignment. With iPads, Helen has seen a dramatic increase in the independence and self-confidence of her students. To stay current with their students’ needs, the school’s AT arsenal is constantly evolving. High-tech resources like desktop computers have been effective AT tools for Treloar’s students for several years, but it was when Helen and her team implemented 1:1 iPads that they realized the power technology had to transform the learning experiences of her students. “With the iPads, there is now a buzz in our classrooms because students can communicate with each other,” says Helen. The iPad opened the door to a more interactive world for the students, but it wasn’t until the school implemented Showbie that students were able to take control of their learning and become more independent in the classroom. Helen recalls her decision to implement Showbie three years ago. Tom Evans, an Educational Technologist at the school, has also seen a new level of engagement with students because of Showbie’s added flexibility. Now that Showbie has been embedded in the curriculum for a few years, it’s used for more than just managing classwork. Teachers use Showbie to create independent learners by engaging students in and out of the classroom. Helen has witnessed a dramatic increase in students’ engagement with coursework through Showbie. Showbie’s voice recording feature has also dramatically increased the independence of visually and literacy-impaired students. The ability to attach voice notes directly to assignments gives students all the information they need to complete an assignment without much assistance. The combination of a traditional school with an intensive inclusion program for students with special needs and disabilities is a rare find. Schools like Mere Green Primary School stand apart from other North Birmingham, UK schools because they are a traditional Nursery to Year 6 school that also serves as a resource base for students struggling with speech and language difficulties. This video shows students at Mere Green Primary School working in class with their iPads. At the school, all 32 Special Education Needs and/or Disabilities (SEN/D) students are taught in a traditional setting alongside their mainstream peers. This can present a challenge for teachers, and Terri Coombs, the school’s IT Leader, thought the iPad would be a great tool to help teachers meet the needs of their diverse classrooms. As a result, Terri slowly began building up the school’s iPad inventory and students started to use the devices in the classroom, but something was still missing. In May 2017, Terri attended a conference where the keynote speaker was Abdul Chohan, the co-founder of Olive Tree Primary School in the UK (a school that has been 1:1 since it opened in 2013). Abdul spoke about his school’s use of technology and how it was transforming learning for his students. Following the conference, Terri and Mere Green’s senior leadership visited Olive Tree Primary to see the 1:1 model and Showbie in action. Shortly thereafter, Mere Green began a pilot with its Year 3 students in the beginning of 2018 and encouraged teachers to find ways to use the technology to engage both traditional and SEN/D students in the classroom. 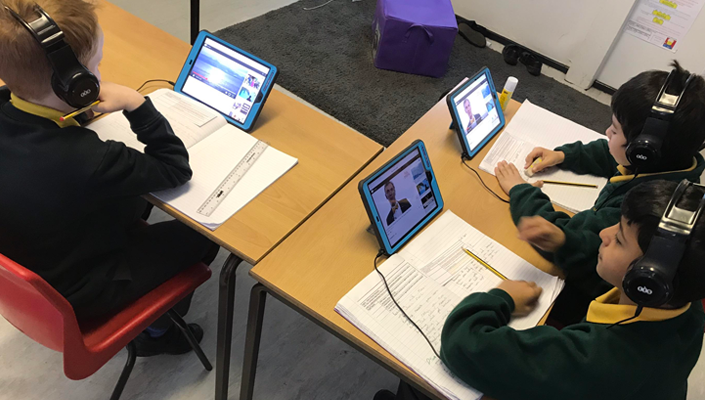 Richard Anderton, a Year 3 teacher and Humanities Lead, was excited to integrate the technology into his curriculum in a way that was accessible for his traditional students, as well as his three SEN/D learners. Showbie’s voice recording feature has also been invaluable for Mere Green’s nonverbal learners. Because many of the school’s SEN/D students perform significantly below age level in reading and writing, Richard and his colleagues must find new ways for students to access learning and progress in these areas. Using Showbie, Mere Green has executed a three-tiered approach to teach writing to SEN/D students. Students begin planning their writing pieces by recording thoughts and ideas on Showbie. Using these voice notes to guide them through their narrative, they type their story and then physically write the story in Showbie while referencing their typed version. Richard has seen a significant increase in his SEN/D students’ competence in writing as a result of this innovative approach. Charles Armstrong School in California focuses on providing the best resources for its Grade 2-8 students with dyslexia and dyslexia-related learning differences. The main features of these learning differences are primarily exhibited through written language (reading, spelling, writing), and leaders at the school needed to find new ways for students to express themselves with something other than pen and paper. 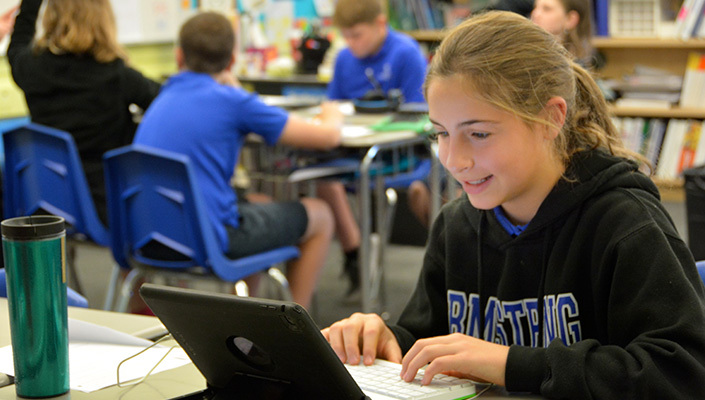 In 2015, the school went 1:1 with iPads for Grades 6-8 and hasn’t looked back. When iPads were introduced at Charles Armstrong, Erika Lewis was an English teacher who was looking for a way to manage her daily workflow with the new devices. Everyone was quickly on board with Showbie, and teachers were getting real results in the classroom. They found ways to implement Showbie that could compensate for some learning differences, which made managing classwork at home and at school more manageable for students. Now a Technology Integration Specialist at Charles Armstrong, Erika has seen the effects of using Showbie as a digital AT tool for middle school students. Students at Charles Armstrong can take control of their learning environment because they are comfortable using Showbie’s intuitive platform. Teachers can also adapt to individual learning styles by either writing or recording comments to each student, which students can reference at any time throughout an assignment. Erika has seen Showbie transform not only the way students are learning, but how teachers can work with students as well. While these three schools serve profoundly different student populations in two different countries, they focus on the same goal for their students with disabilities – pair students with the AT tools they need to succeed in becoming independent and confident learners. As schools like these, and many more worldwide, discover how apps like Showbie and mainstream technology like iPads can be integrated into an overall AT strategy, education for students with disabilities will continue to improve.